Don’t throw your clothes away! Fix them. Ever find the perfect pants or skirt for your style and budget… except the length wasn’t quite right or the zipper was broken? Don’t put them back on the rack, or pay an extra $20 to have them fixed. Learn to do it yourself. This hand mending workshop is for everyone (men, women and teens) and will have you repairing and extending the life of your clothes in no time. 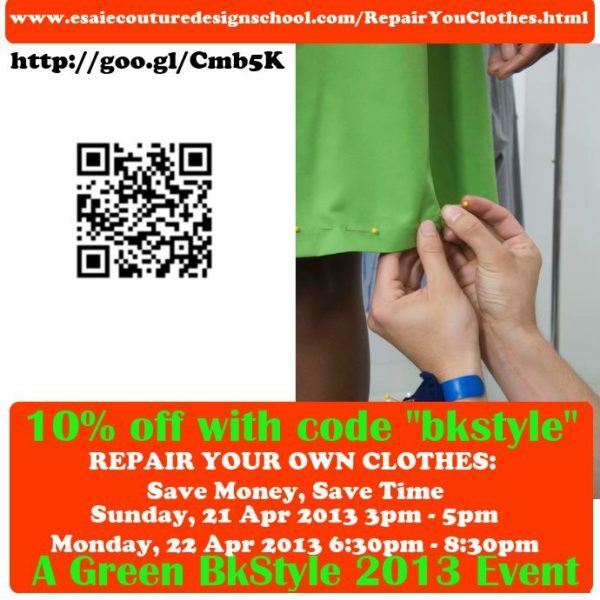 Posted in Latest and tagged Answer The Call, Green BKSTyle!.